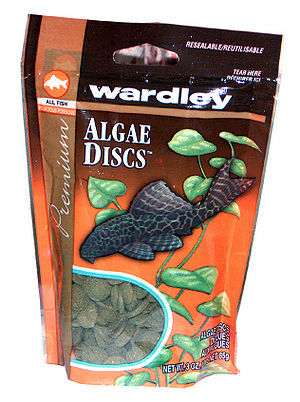 Wardley Algae Discs™ are produced by Wardley®, a US based Company. 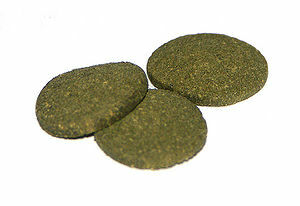 A quick sinking food disc composed primarily of algae. This high quality vegetable food is suitable for bottom algae feeders such as Plecostomus, Siamese algae eaters, flying foxes, Chinese algae eaters, Ancistrus spp. and Otocinclus spp.. This page was last edited on 6 April 2011, at 12:05.